This bunny ear hat is knit flat on two needles and then seamed. The hat has been made from pink cotton and has floppy ears. 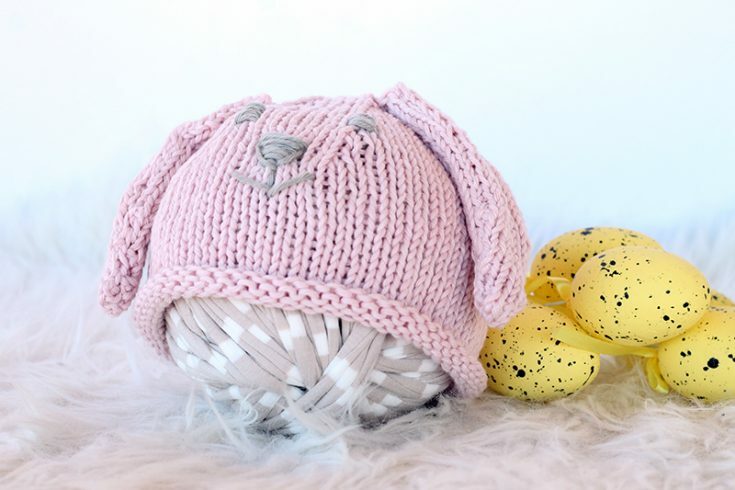 Great for Easter, this sweet little hat will look awesome on baby! 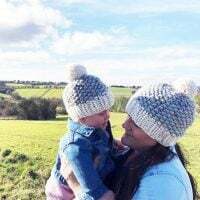 This baby beanie is made in sizes 0-3 months, 3-6 months and 6-9 months. The hat has a rolled brim that can be kept into place with a stitch or two. The floppy ears are knit flat, then seamed and stitched into place on top of the hat. 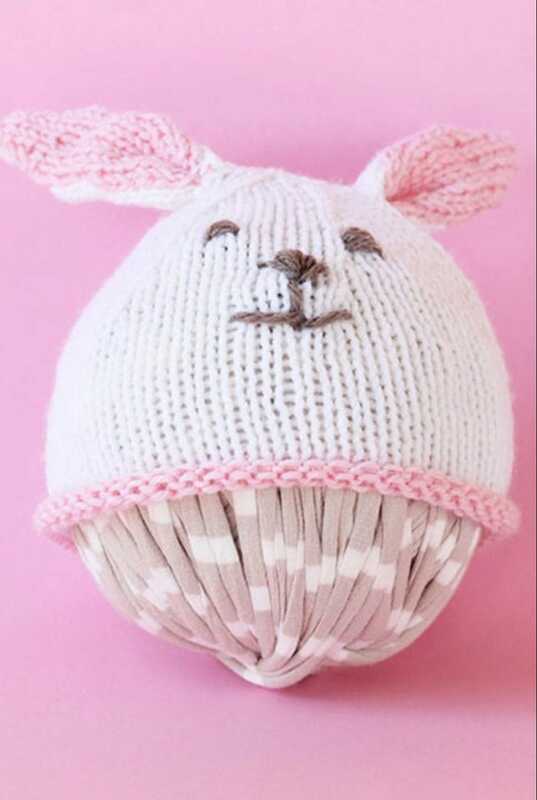 The bunny hat was knit with soft cotton from Rico yarns, called Rico Creative Cotton Aran. I chose the colour pink in the shade of rose (00) for the hat, but they have a good range of pinks and other colours. I stitched the face on in the same yarn, in the colour pearl grey (52). This is a beginner level knitting pattern, using basic knit and purl stitches with some shaping involved. For any help with the stitches or techniques in this pattern, please visit the knitting basics page to view video tutorials. 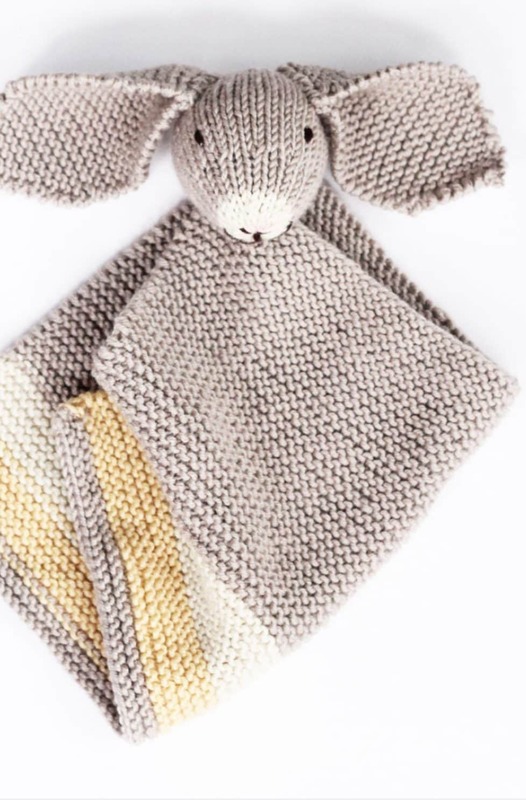 You can also choose from many more patterns in the baby knitting library. 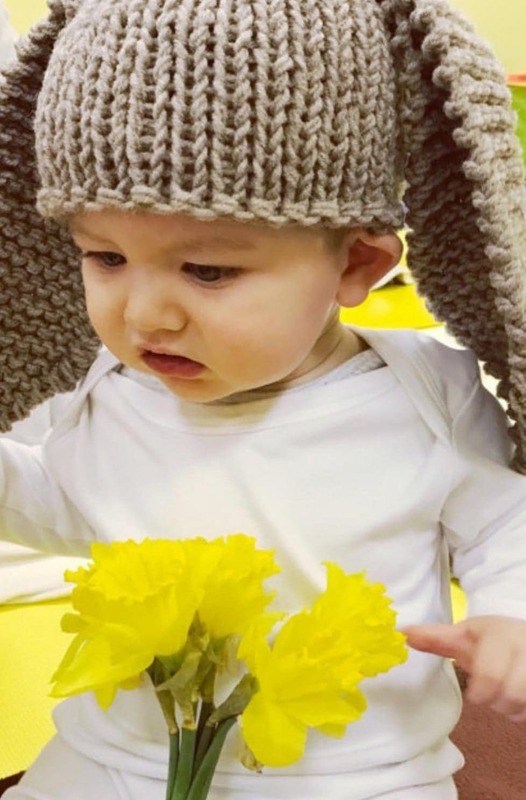 Make a cotton bunny hat for baby with this free pattern. 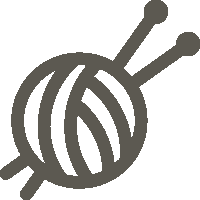 Change to size 4.5mm (US 7) knitting needles and work 16 (18/20) rows in st st.
Stitch the eyes/nose mouth on in Yarn B.
Cont to work in st, st inc (KFB) at both ends of rows 2, 4 and 8. Stitch the side seams and leave the ears to lie flat.